The most powerful but sneaky politician in Japan. | Hey, you know what? ホーム > スポンサー広告 > The most powerful but sneaky politician in Japan. 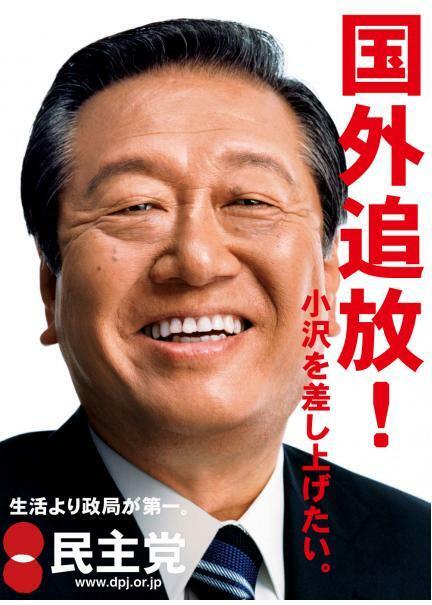 ホーム > Ozawa > The most powerful but sneaky politician in Japan. The most powerful but sneaky politician in Japan. Have you ever heard a man whose name is Ichiro Ozawa? Off course he's nothing to do with the very famous Major League baseball player, Ichiro Suzuki. Mr. Ozawa is a secretary general of DPJ (Democratic Party of Japan). He used to belong to LDP(Liberal Democratic Party)and was also recognized as a secretary general. However, during the mix-up political situation in early 1990's, there was a news report that he wasted 430 billion yen tax money just to construct an unusable harbor in the small island near Okinawa. We are not sure how much of it was actually spent for the harbor construction. Anyway, the wasted money was resulted to weaken Japanese economy. After that, he left the party and established his own political party, called the Liberal Party which becomes eligible to receive a Political Party Budget Aid, tax money. But after seeing a newly established political party, he dismissed his party and joined the Democratic Party of Japan. We are not informed what happened to the Political Party Budget Aid he received while he was the top of the Liberal Party that vanished. There is a prevailing rumor that he used the big amount of money to buy more than ten condominiums as his personal real-estate assets. And now he has become the secretary general of DPJ and another bribery case is under investigation by Tokyo Prosecutor's Office. Apparently there is clear evidence that he had been receiving a big amount of money from a construction company, NISHMATSU KENSETSU Ltd..., giving preferential public construction jobs. Under Japanese law, such conducts are strictly prohibited and any money over 50,000yen must be written in the accounting system. But Mr. Ozawa is insisting that he didn't know the money and everything is responsible of his secretary. His shameful conduct can't be Japanese psychological telepathy. Checking his personal ancestry background, he is not pure Japanese. It is reported his family tomb is in SAISYU-ISLAND which is in Korean soil. We all pure Japanese want to say," Hey, Ozawa go back to the original soil you belong to". 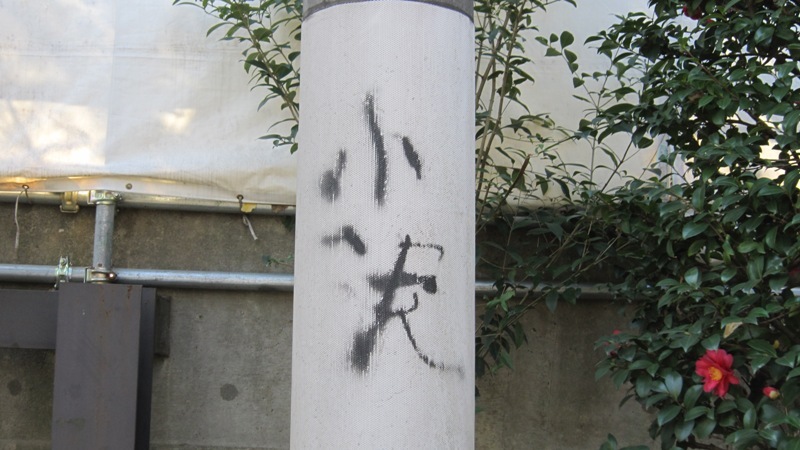 There was a grafiti near his house, says "OZAWA". "Damn it!, Arrest and expel him!"